The primary goal of the ESMO Global Cancer Task Force is to make the case for better cancer screening and care within the broader agenda of the WHO Global NCD Action Plan 2013-2020 for the Prevention and Control of Non-communicable Diseases. Specific objectives will be pursued in collaboration with leading oncology societies, through a pooling of technical and scientific expertise as well as through knowledge-brokering actions carried out with national and European policy-makers and political advisers. Clinical cancer care plays a significant role in global cancer control, and two of the nine voluntary targets for 2025 (as a follow-up of the UN Political Declaration5) are closely related: the global target (25 by 25) for reduction in cancer mortality, and the target on coverage by essential NCD medicines and technologies. In this context, the European Society for Medical Oncology (ESMO) aims to play a pivotal role, gathering cancer experts at the international, regional and country level to coordinate efforts with the global strategy. This simultaneous, top-down, bottom-up approach is considered the best way to face the problem, combining international political and governmental pressure with the participation of scientific groups and civil society at the local level. The ESMO Global Cancer Task Force The importance of NCD professional organizations in NCD control was clearly stated by WHO Director-General during the UN High Level Meeting (HLM) in 2011. ESMO was very active at the time and spoke at pre-UN meetings such as the WHO Global Forum in Moscow, it petitioned EU ministries of health for support, and the ESMO President (at the time, David Kerr) personally attended the UN HLM itself in New York. Since achieving official status with WHO in 2013, ESMO has presented a Statement on the WHO Global NCD Action Plan at the 66th World Health Assembly in 2013.6 The statement was supported by the Pain and Policy Studies Group (PPSG) of the University of Wisconsin Carbone Cancer Center, the Union for International Cancer Control (UICC), and the International Network for Cancer Treatment and Research (INCTR). It was also delivered to the ministries of health of 28 European countries by the ESMO national representatives. It highlighted the critical need for National cancer control programmes at the country level and the relevance of linking screening and early detection with health care systems capacity. Another important recommendation from the ESMO document is to build upon the strengthening of primary care for NCDs as requested by GAP and to extend treatment options at all levels of care settings by including opportunities for surgery, radiotherapy and systemic therapies that can offer cure and improve the quality-of-life and survival of cancer patients in all resource settings. ESMO experts also strongly emphasize the need and feasibility to prioritize the availability of a basic set of treatment options, including palliative care interventions and improvement of access to morphine for pain relief. To achieve these goals, ESMO is leading a collaborative effort to help in the analysis and mapping of the current situation of the availability of cancer medicines globally as well as in the development of better tools to advise Member States on achieving the cancer contribution to the global NCD target of 80% availability of affordable essential medicines. This has resulted in the creation of an ESMO Global Cancer Task Force, whose mission is to provide WHO with guidance and technical expertise to interpret the evidence and share best practice with Member States who are tasked with implementing the Plan at national levels. Contributors with ESMO to defining the initial goals of this Task Force currently include the American Society of Clinical Oncology (ASCO), the European School of Oncology (ESO), the Indian Society of Medical and Pediatric Oncology (ISMPO), the Institute of Cancer Policy at Kings College, the International Cancer Control Congress Organization (ICCC), the International Network for Cancer Treatment and Research (INCTR), the International Society of Geriatric Oncology (SIOG), the Pain and Policy Studies Group of the University of Wisconsin Carbone Cancer Center (PPSG), the Latin-American and Caribbean Society of Medical Oncology (SLACOM), the London School of Economics (LSE), the Middle East Cancer Consortium (MECC), the University Clinical Hospital of the University of Valencia’s Medical School, the Union for International Cancer Control (UICC), the US NCI Center for Global Health and the WHO. Other organizations are envisioned to join the network now that its objectives are clearly defined. knowledge of best diagnostic practices into practical use in low- and middle-income countries. Create and disseminate best practices in developing resource- adapted health care infrastructure including equipment The Task Force will propose a hierarchy of cancer services that provide priority recommendations on what cancer services should be offered, beginning with countries where no cancer infrastructure exists and extending to highly developed health care systems, where an optimal level of services should be offered. Any recommendations need to be accompanied by capacity building and training at the country level. All partners will be encouraged to consider how they can mobilize their membership and their parent institutions to provide fellowships and training opportunities for physicians from partner nations. Support national cancer control programmes (NCCPs) at a global, regional and country level The Task Force structure is uniquely fitted to contribute to and enhance the collective knowledge accumulated on NCCPs globally, and to share best practices. On the one hand, the UICC has assembled, through the International Cancer Control Partnership (ICCP), a “one-stop-shop” for cancer planners and cancer advocates worldwide, including a library of materials for planners as well as a database of links to all available cancer plans.10 ESMO, on the other hand, has close ties with the European Union, whose Commission-funded European Partnership for Action Against Cancer (EPAAC) has specifically focused on NCCP development,11 and is expected to release European Guidelines on Quality NCCPs by the end of the Partnership in 2014. Through the ICCP’s partnership with the American Cancer Society, SLACOM, the International Cancer Control Congress Association (ICCCA), and others, collaborations with the WHO Regional Offices in Africa, the Americas, the Eastern Mediterranean and Europe; and with ESMO’s relationship with the European Union and national medical oncology societies in Europe and elsewhere, there is an ideal platform for the Task Force to promote and disseminate best practice on the cancer medicines component of an NCCP, including the European Guide on Quality Improvement in Comprehensive Cancer, a sub-project within the nascent EU Joint Action 2014–2017. 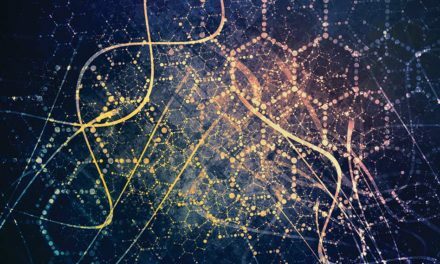 The Task Force also plans to draw upon the powerful networks of ASCO and the NCI, as well as regional oncology societies around the world. Working with partners The initial input to the Task Force came through the triad of ESMO, WHO and the UICC, but a wide range of institutional partners are also making essential contributions through expertise accumulated over decades of research, training and advocacy. Part of what makes the Global Cancer Task Force so valuable is its commitment to translating the skills and knowledge of the medical oncology community into usable tools for policy-makers. Thus, in addition to pursuing the scientific and technical goals detailed in the previous section, Task Force members will also encourage interfacing with decision-makers in order to both understand policy needs and to shore up support for cancer control as an integral pillar of the social, health and development agenda. True knowledge-brokering is not linear, but rather depends on network approaches that take advantage of what each focal point has to offer through multiple channels and intermediaries. This approach entails considerable complexities in maintaining fluid lines of communication, but it also adds value by channeling all relevant participants’ activities towards a common, policy-oriented goal. The first collective step is in defining what evidence needs to be generated, that is, in defining the global cancer research agenda in a way that takes into account current knowledge, promising advances and diverse stakeholders’ needs. The Task Force, through local, national, regional and global partners, is conceived to fill this gap, assembling patient advocacy groups, cancer control champions, scientific societies and policy organisms in WHO Member States. By forming a broad coalition of cancer control advocates, the precise coordinates of cancer policy goals can be mapped for all parties. The Task Force will also help translate the urgent need for more and better cancer control into tools that decision-makers can use for political advocacy as well as policy support. This includes the development of concise, evidence-based briefs that help translate scientific language and recommendations into a range of policy options, including the advantages and disadvantages of alternative avenues of action. The emphasis on HTA, cost-effective cancer treatment regimes (as opposed to individual medicine lists), and the development of national cancer control programmes (always keeping in mind questions of equitable access to cancer care) are all conceived to respond to policy challenges, in a context in which cancer control is just one of many challenges originating in the health system and the wider social, political and economic context. International organizations, such as WHO, the European Union and others, will contribute by setting global recommendations that may act as a guiding star for Member States, while local partners, such as national medical oncology societies, will be instrumental in refining and adapting these recommendations to a country level. Conclusion and call to action The primary goal of the ESMO Global Cancer Task Force is to make the case for better cancer screening and care within the broader agenda of the WHO-led Global NCD Action Plan. The Action Plan represents a formal acknowledgement of the importance of non-communicable diseases on the global health agenda, a fact which cancer control advocacy groups should applaud unreservedly. Rooted in strong public health principles that aim to promote long, healthy lives through the control of behavioural health determinants, the WHO Plan is also concerned with the patients suffering from chronic diseases. As demographic, economic and social shifts consolidate over the next decades, this population will unfortunately grow, and their needs deserve high priority on national and international health and political agendas. Founded on the compiled knowledge of the leading professional organizations in cancer control, the Global Cancer Task Force has been created to provide best practice reference on actions that will make a difference in reducing cancer mortality and in increasing the quality of life of cancer patients. Too often, scientists direct their efforts exclusively to research, decision-makers to policy, and patient advocates to awareness-raising. By harnessing the collective power of all of these actors and catalyzing their energy towards a common goal, we hope to achieve the kind of synergy that can truly make a difference to cancer control, changing the way patients see policy and policy-makers see science, and creating a new foundation on which to build future advances in medical oncology. Acknowledgements The authors would like to express their gratitude to Gracemarie Bricalli (ESMO International Affairs Manager) for her indispensable help in the conception of the paper and in securing its publication, to Alex Eniu (Chair ESMO Emerging Countries Task Force) and Andreas Ullrich (WHO Medical Officer Cancer Control and Liaison IARC) for their comments and advice, and to Meggan Harris (Editorial Research Assistant, University of Valencia) for her support in bringing this paper to successful and timely submission. Jose M Martin-Moreno, MD, PhD, DrPH received his medical and public health education and training from the University of Granada (Spain) and Harvard University (USA). His main speciality is preventive medicine and public health, with particular emphasis on health policy and cancer control. 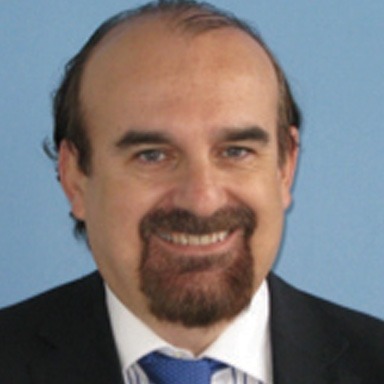 In addition to his professorship at the University of Valencia, he is the Coordinat or of the Quality Unit at the Valencian Clinical Hospital and advises the WHO Regional Office for Europe, where he previously served as Director of Programme Management. A founding member of the European Academy of Cancer Sciences, he is an active member of ESMO and the ESMO Public Policy Committee, and has also advised the European Institute of Oncology and the International Agency for Research on Cancer (IARC), as well as having published more than 300 scientific papers both nationally and internationally. 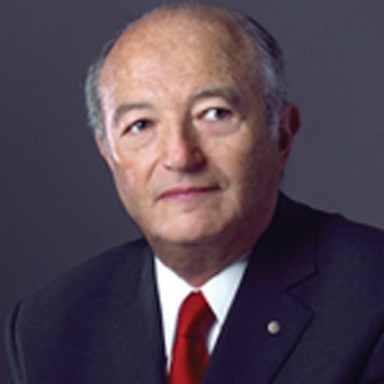 Eduardo Cazap, MD, PhD, FASCO is the founder and first President of the Latin American and Caribbean Society of Medical Oncology (SLACOM), Immediate Past President of the Union for International Cancer Control (UICC-Geneva) and member of the Executive Committee of the National Cancer Institute of Argentina. He has published over 180 papers and his main areas of interest are global health, cancer control and prevention, breast and cervical cancer and independent clinical research. He is Chairman of the Executive Committee of the Breast Health Global Initiative (BHGI), Seattle, USA and President of the UICC World Cancer Congress in Montreal, Canada, in 2012. Dr Cazap was also Co-chair, Civil Society Task Force at the 2011 United Nations High-Level Meeting on Non-communicable Diseases, Chairman of the International Clinical Trials Working Group (ICTWG)-American Society of Clinical Oncology (ASCO) and Chairman of the Scientific Council of the International School of Senology (SIS), Strasbourg, France. Dr Cazap is currently Deputy Chair of the ESMO Emerging Countries Committee. 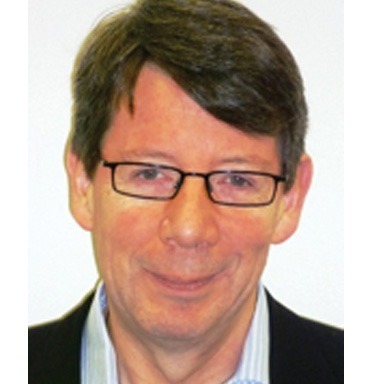 David J Kerr, CBE, FRCP, FMedSci has made sustained and internationally recognized contributions to cancer care and research and has published over 400 papers in high profile journals, authored over 20 books including the Oxford Textbook of Oncology, and has been awarded four prestigious, international research prizes. He has been elected Fellow of Academy of Medical Sciences, President of ESMO and Founding Fellow of the European Academy of Cancer Sciences. He organized the African Cancer Reform convention in London (www.afrox.org) calling for immediate action to develop cancer control plans in Africa. In addition to his professorship at Oxford University, he has supported British prime ministers (Tony Blair and David Cameron) as health adviser, and has served on Qatar’s Supreme Health Council. 1. Luengo-Fernandez R, Leal J, Gray A, Sullivan R. Economic burden of cancer across the European Union: a population-based cost analysis. The Lancet Oncology 2013; 14:1165-1174. 2. The NCD Alliance. The Global Epidemic. Geneva: The NCD Alliance; 2013. 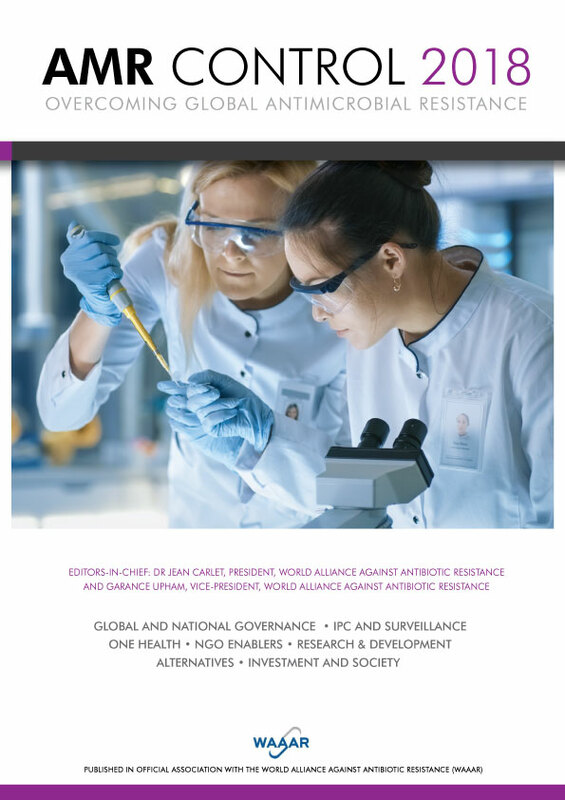 Available from: http://www.ncdalliance.org/globalepidemic [Last accessed Dec 8, 2013]. 3. General Assembly of the United Nations. 2011 High Level Meeting on the Prevention and Control of Non-communicable Diseases. New York: United Nations; 2011.Available from: http://www.un.org/en/ga/ncdmeeting2011/ [Last accessed Dec 9, 2013]. 4. World Health Organization. Global Action Plan for the Prevention and Control of NCDs 2013-2020. Geneva: World Health Organization; 2013. Available from: http://www.who.int/nmh/en/ [Last accessed Dec 9, 2013]. 5. World Health Assembly. Follow-up to the Political Declaration of the High-level Meeting of the General Assembly on the Prevention and Control of Non-communicable Diseases –Doc. WHA66.10. Geneva: World Health Organization; 2013. Available from: http://apps.who.int/gb/ebwha/pdf_files/WHA66/A66_R10-en.pdf [Last accessed Dec 9, 2013]. 6. European Society for Medical Oncology. 2011 UN Summit on Non-Communicable Diseases. Lugano: ESMO; 2013.Available from: http://www.esmo.org/Policy/Political-Initiatives/2011-UN-Summit-on-Non-Communicable-Diseases. [Last accessed Dec 9, 2013]. 7. European Society for Medical Oncology.2011 UN Summit on Non-Communicable Diseases. Lugano: ESMO; 2013. Available from: http://www.esmo.org/Policy/Political-Initiatives/2011-UN-Summit-on-Non-Communicable-Diseases. [Last accessed Dec 9, 2013]. 8. Porter ME. What is Value in Health Care? White Paper. Boston: Harvard Business School, Institute for Strategy and Competitiveness; 2008. 9. Cherny NI, Cleary J, Scholten W et al. The Global Opioid Policy Initiative (GOPI) project to evaluate the availability and accessibility of opioids for the management of cancer pain in Africa, Asia, Latin America and the Caribbean, and the Middle East: introduction and methodology. Ann Oncol 2013; 24 (Supplement 11): xi7–xi13. 10. European Society for Medical Oncology.2011 UN Summit on Non-Communicable Diseases. Lugano: ESMO; 2013. Available from: http://www.esmo.org/Policy/Political-Initiatives/2011-UN-Summit-on-Non-Communicable-Diseases [Last accessed Dec 9, 2013]. 11. International Cancer Control Partnership. Union for International Cancer Control; 2013. Available from: http://www.iccp-portal.org/ [Last accessed Dec 10, 2013]. 12. Albreht T, Jelenc M, Gorgojo L. From ‘on paper’ to ‘into action’: development of cancer control programmes in the EU. In: Martin-Moreno JM, Albreht T, Rados S, editors. Boosting Innovation and Cooperation in European Cancer Control: key findings from the European Partnership for Action Against Cancer. Ljubljana: National Institute of Public Health of the Republic of Slovenia; 2013. Also available from: http://www.epaac.eu/images/OF_Ljubljana/Cancer_book_web_version.pdf [Last accessed Dec 10, 2013]. NextInternational cancer control congresses: Do they get us closer to the goals of population–based cancer control?